There are a variety of people and organizations that are committed to revitalizing Main Street and we want to collaborate with all of you! The first post-fire collaboration of the Town of Mt. 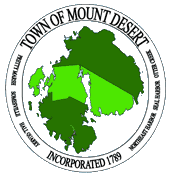 Desert and the Summer Residents Association involved the creation of the “Revitalizing Northeast Harbor as a Year Round Community,” an analysis and report by the Urban Land Institute. In the spring of 2013 the Town and SRA jointly funded the position of Economic Development Consultant, and subsequently hired Jackie Hewett to focus on both short and long term steps. The Chamber of Commerce played a central role in the redevelopment of the NEH marina, and continues to be the focal point for its member merchants and businesses. Together, we are seeing a variety of good things in the works!